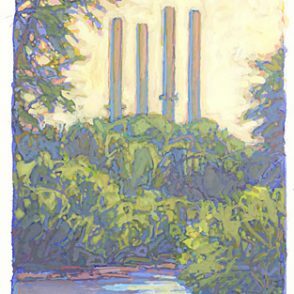 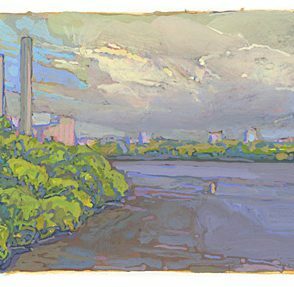 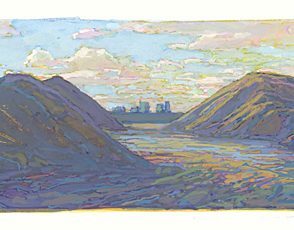 2016 | oil on linen | $6,500.00 | image: 28 x 42" | frame: 29.5 x 43.5"
Thomas Paquette "Power Plant Stacks, St Anthony Falls"
image: 4 x 2.5" |frame: 11.5 x 10.75"
Thomas Paquette "Power Lines, Tree Lines"
image: 3.75 x 2.5" | frame: 11.5 x 10.75"
Thomas Paquette "Power Lines River"
Thomas Paquette "Pigs Eye Mountains VI"
image size: 2.25 x 3" | frame: 10.75 x 11.5"
Thomas Paquette "Pigs Eye Mountains V"
image: 3.5 x 5.25" | frame: 10.75 x 11.5"
image: 3.75 x 2.25" | frame: 11.4 x 10.75"
Thomas Paquettte "Franklin Bridge from Upriver"
Thomas Paquette "Fisherman at Stone Arch Bridge"
image: 2.75 x 4.25" | frame: 10.75 x 11.5"
image: 24 x 20" | frame: 25.5 x 21.5"
Thomas Paquette "City Under the Bridge"
image: 2.38 x 3.88" | frame: 10.75 x 11.5"
Thomas Paquette "Pigs Eye Mountains IV"
image: 2 x 3.75" | frame: 10.75 x 11.5"
Thomas Paquette "Pigs Eye Mountains III"
image: 2.25 x 6.25" | frame: 10.75 x 11.5"
Thomas Paquette "Pigs Eye Mountains I"
image: 3.38 x 5.25" | frame: 10.75 x 11.5"
Thomas Paquette "Pigs Eye Mountains II"
image: 2.25 x 5.5" | frame: 10.75 x 11.5"
Thomas Paquette "Minneapolis from St Anthony Main/3rd Avenue Bridge"
image: 4 x 2.75" | frame: 11.5 x 10.75"
image size: 3.5 x 2.5" | frame: 11.5 x 10.75"
Thomas Paquette "Minneapolis at the Falls"
image: 2.62 x 4" | frame: 10.75 x 11.5"
Thomas Paquette "Marker (Bridge Remnant)"
image: 2.12 x 3.75" | frame: 10.75 x 11.5"
Thomas Paquette "Landing Gull, Lock and Dam #1"
image: 4 x 3.88" | frame: 11.5 x 10.75"
Thomas Paquette "Lock No. 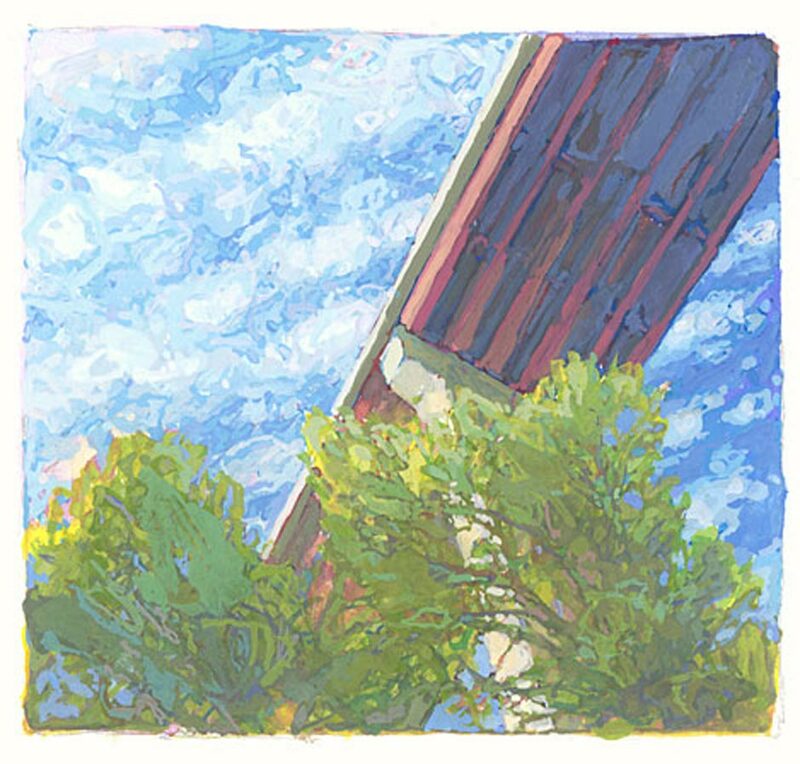 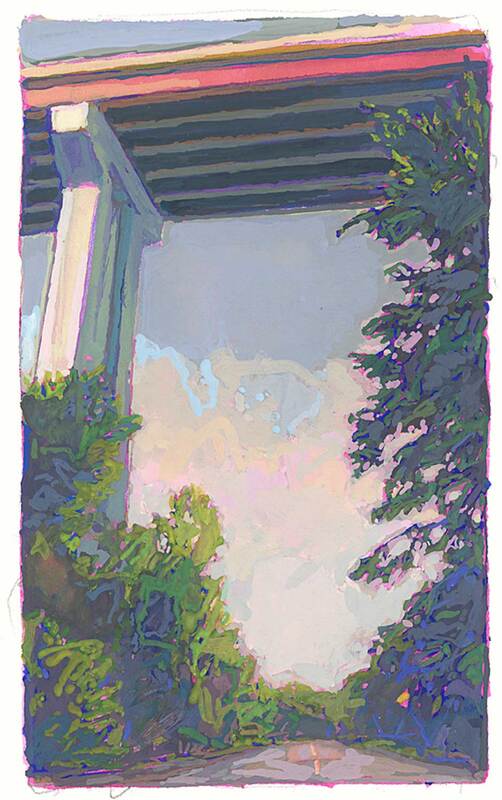 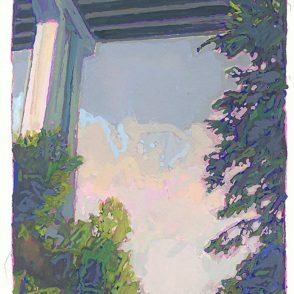 1"
image: 3.38 x 2.38" | frame: 11.5 x 10.75"
Thomas Paquette "In the Realm of the Sky"
image: 20 x 24" | frame: 21.5 x 25.5"
Thomas Paquette "High Bridge with Sign"
image: 3.75 x 2.25" | frame: 11.5 x 10.75"
image: 3.38" x 2.25" | frame: 11.5 x 10.75"
Thomas Paquette "Trestle Bridge to Camden"
image: 10.5 x 15.5 | frame: 12 x 17"
Thomas Paquette " Under Ford Parkway Bridge"
image: 4.64 x 3" | frame: 11.5 x 10.75"
Thomas Paquette "Trees Beneath the High Bridge"
image: 3.25 x 3.5" | frame: 10.75 x 11.5"
2016 | gouache on rag board| $725.00,br> image: 3 x 3.75" | frame: 10.75 x 11.5"
Thomas Paquette "Train Bridge to Camden"
image: 3.75 x 5.12" | frame: 10.75 x 11.5"
Thomas Paquette "The Green Gorge"
image: 24" x 36" | frame: 25.5 x 37.5"
Thomas Paquette "St Paul from the Mounds"
image: 2.25 x 3.25" | frame: 10.75 x 11.5"
Thomas Paquette "West Light from Indian Mounds, St Paul"
image: 30 x 42" | frame: 31.5 x 43.5"
Thomas Paquette "Double Arc, Minneapolis"
image: 42 x 30" | frame: 43.5 x 31.5"
Artist Talk: Saturday, June 11, 1-2 p.m. 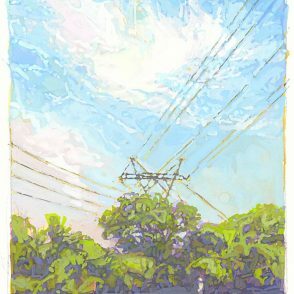 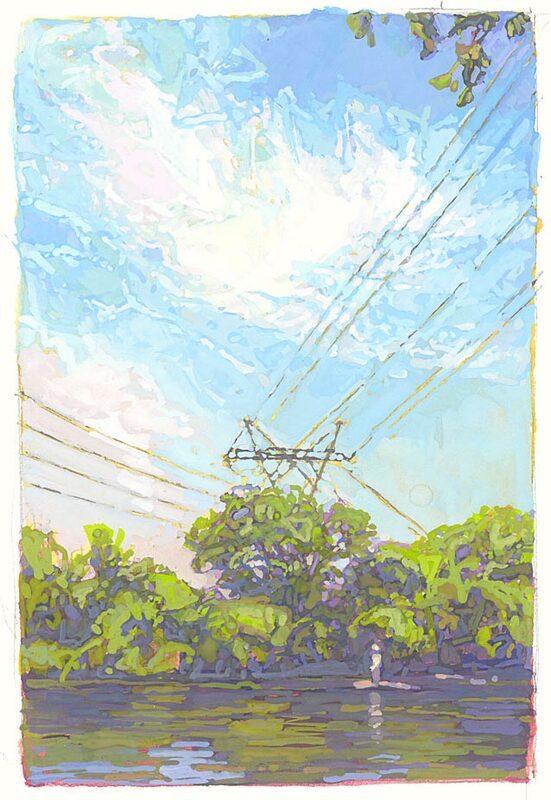 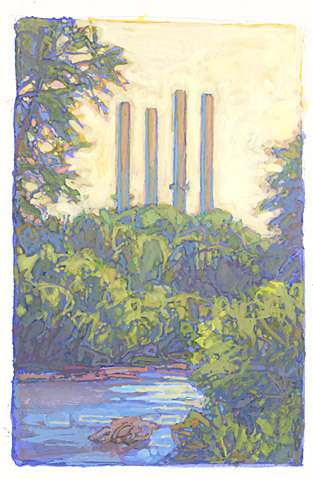 Opening Reception: Saturday, June 11, 2-5 p.m. 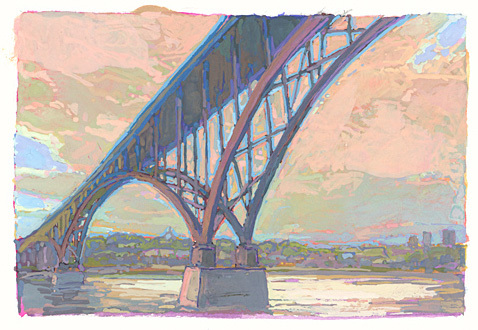 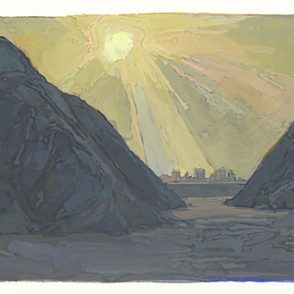 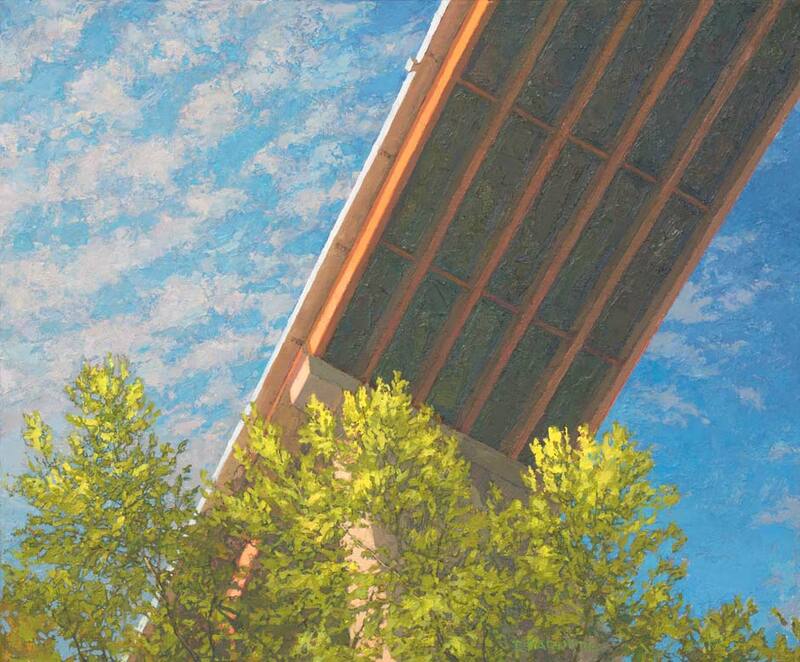 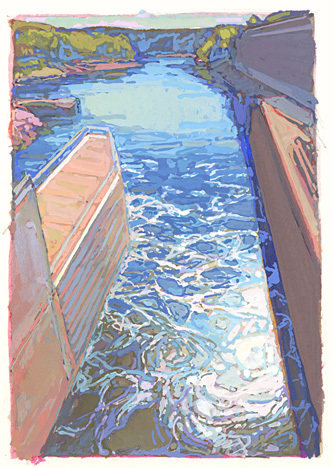 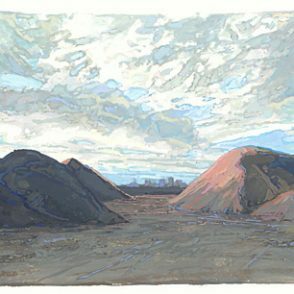 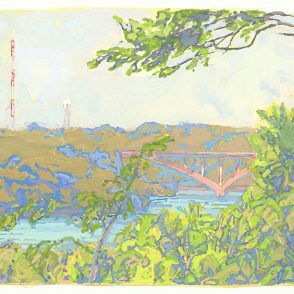 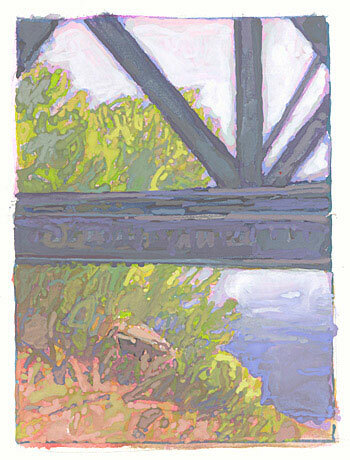 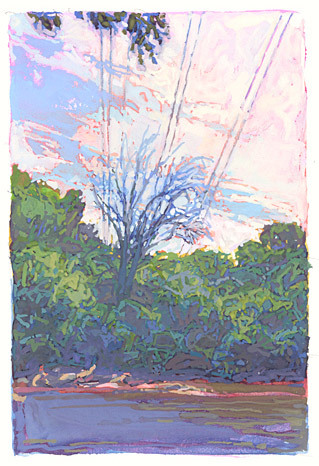 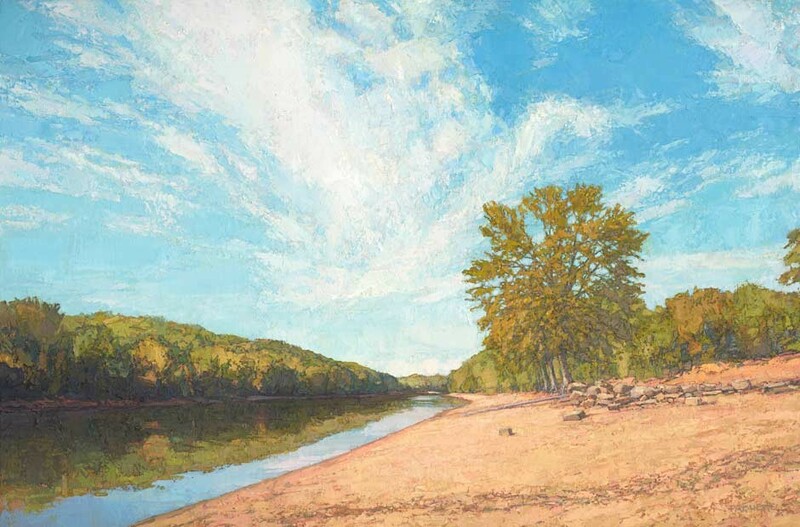 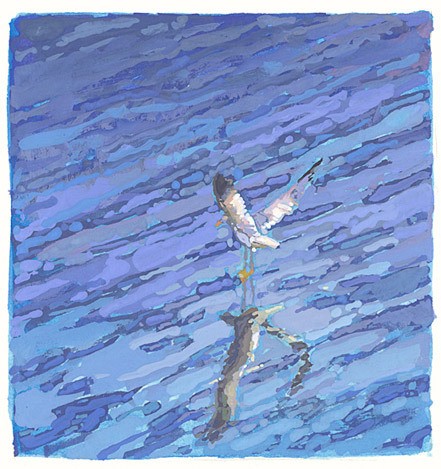 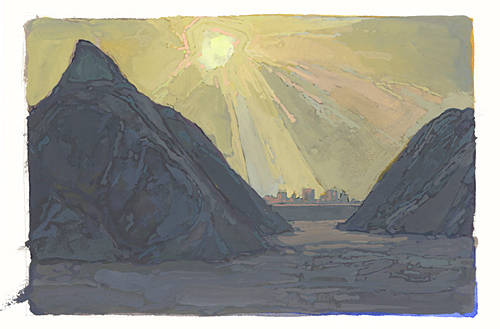 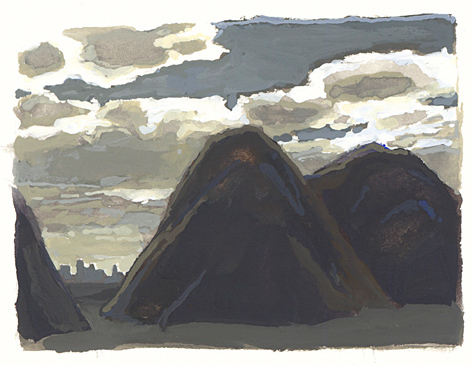 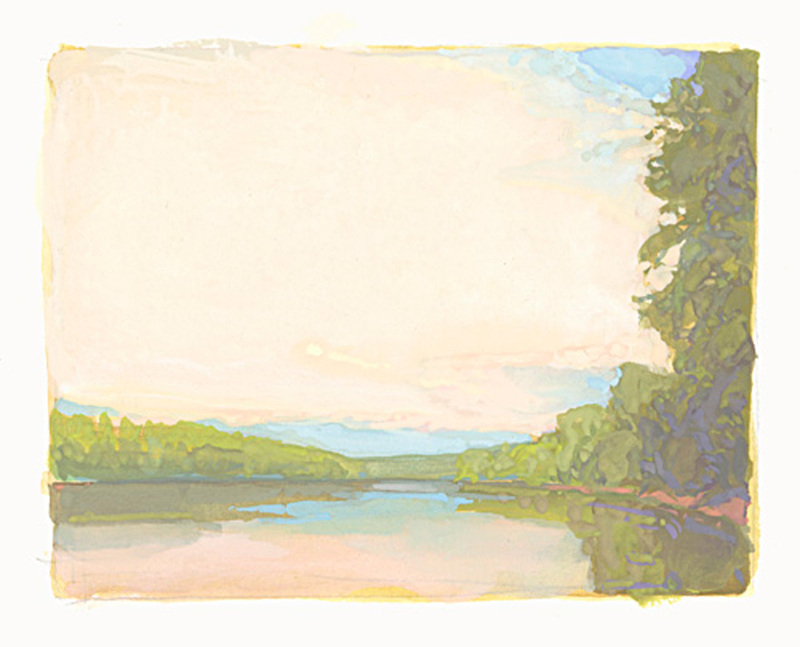 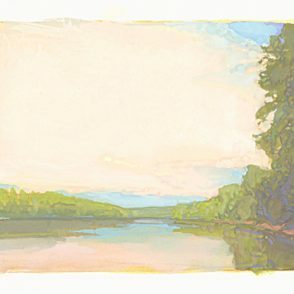 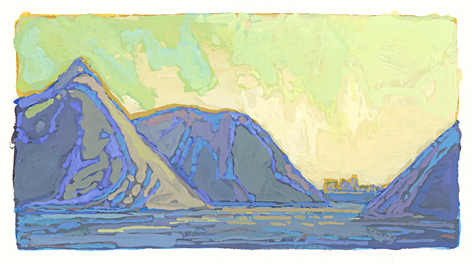 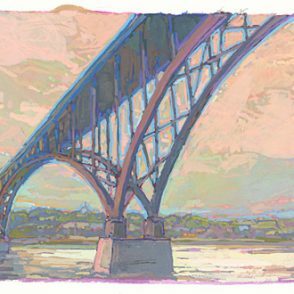 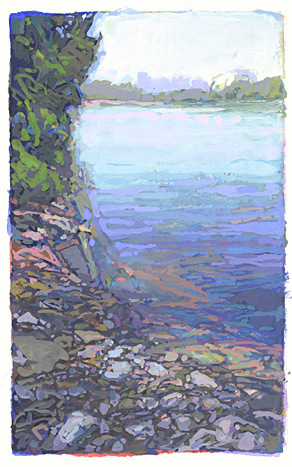 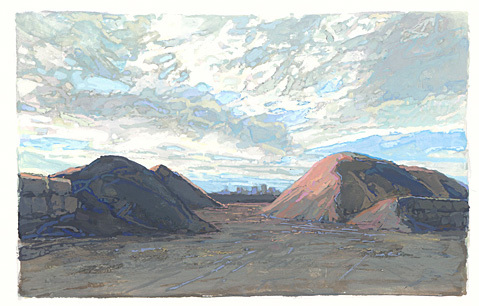 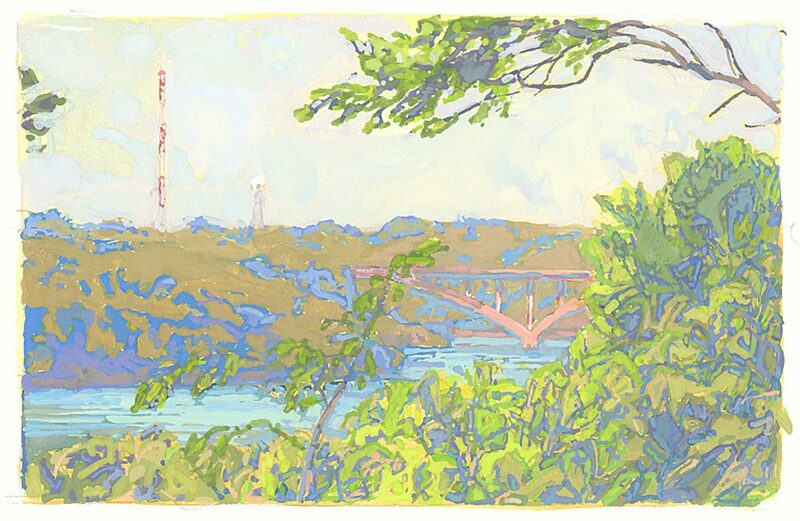 Artist Thomas Paquette – a longtime visitor and appreciator of national parks throughout the United Sates – commemorates the centennial of the National Park Service with a new series of oil and gouache paintings that celebrate one of Minnesota’s greatest environmental treasures: the Mississippi National River and Recreation Area. 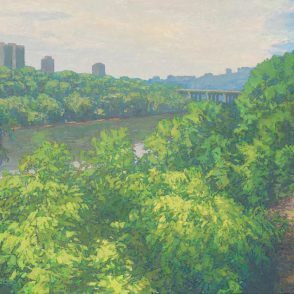 Winding through the heart of the Twin Cities in south-central Minnesota, this national park protects a 72-mile and 54,000-acre corridor along the Mississippi River. 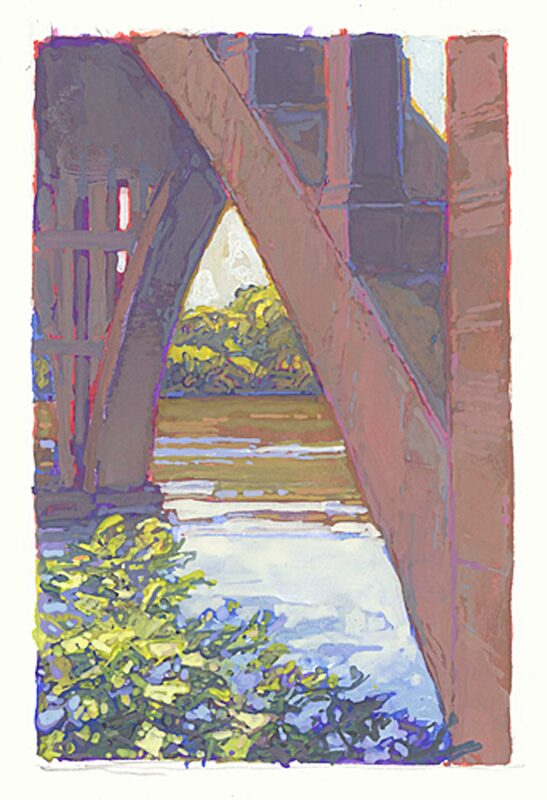 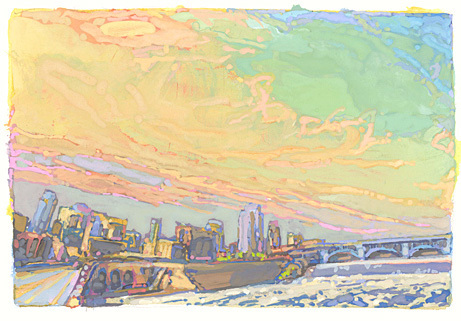 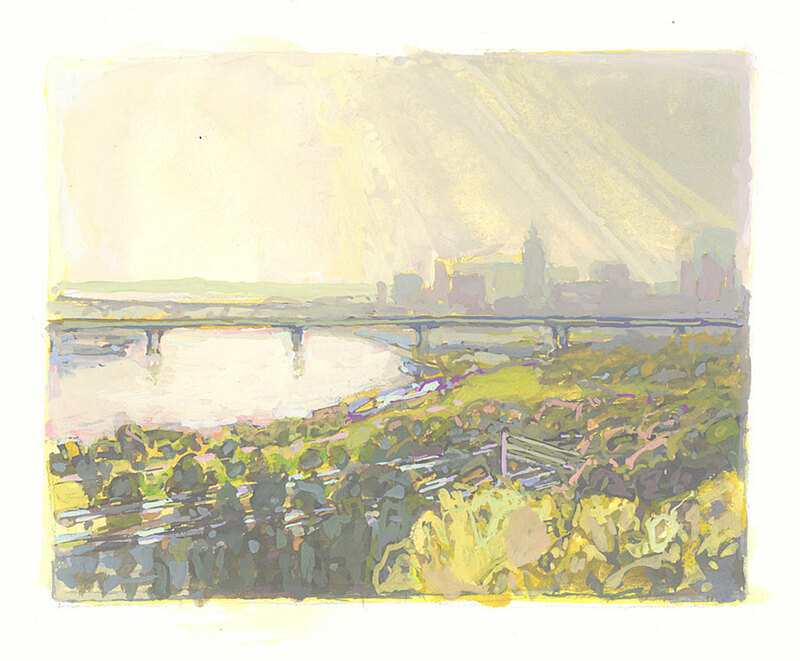 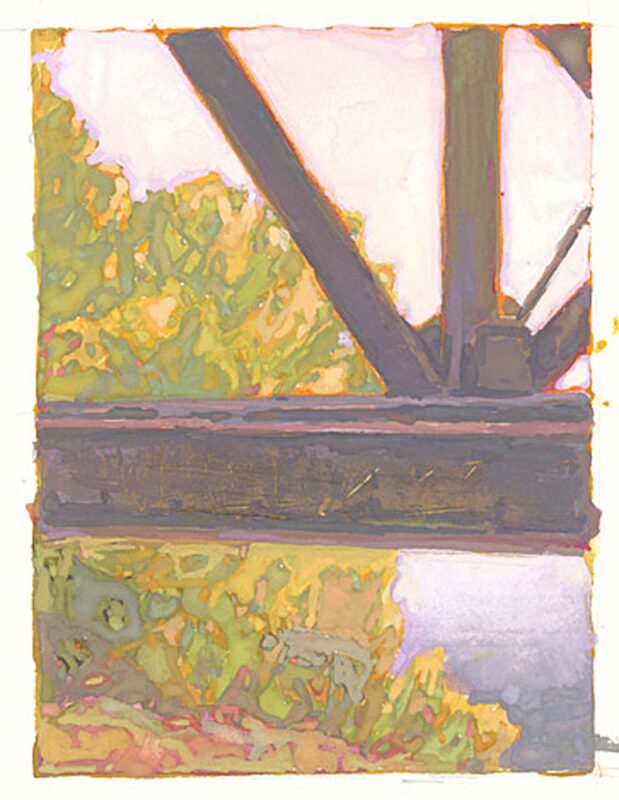 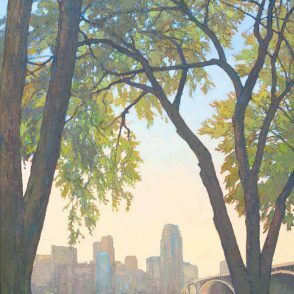 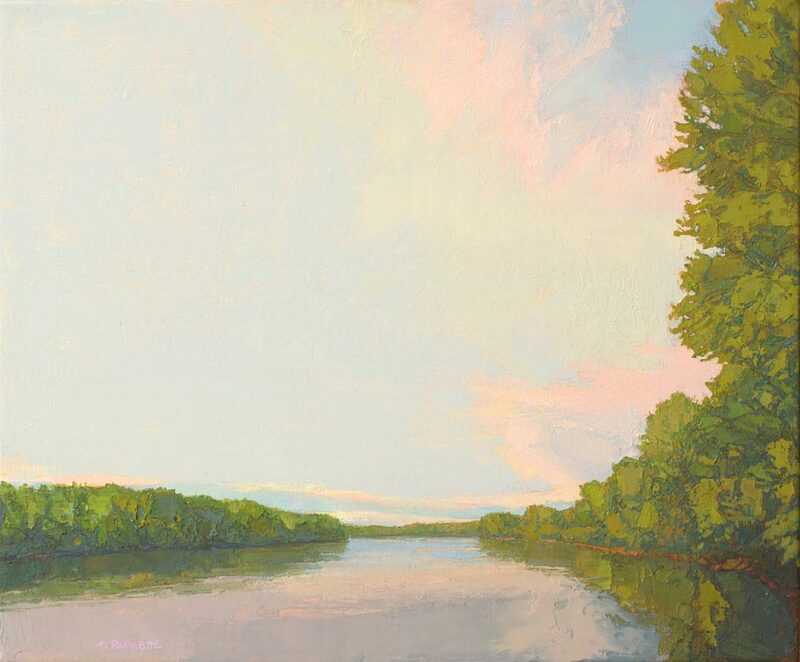 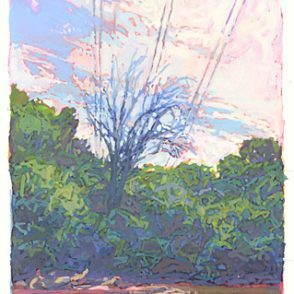 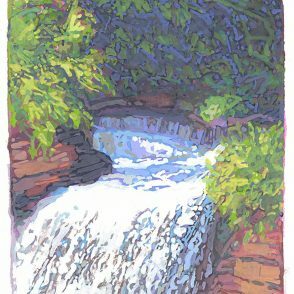 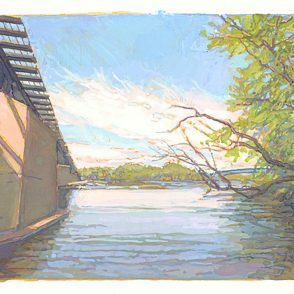 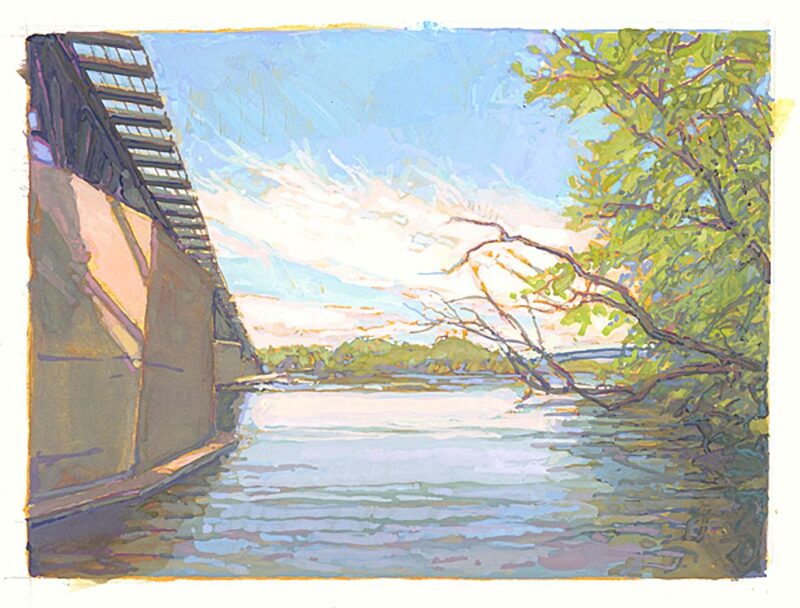 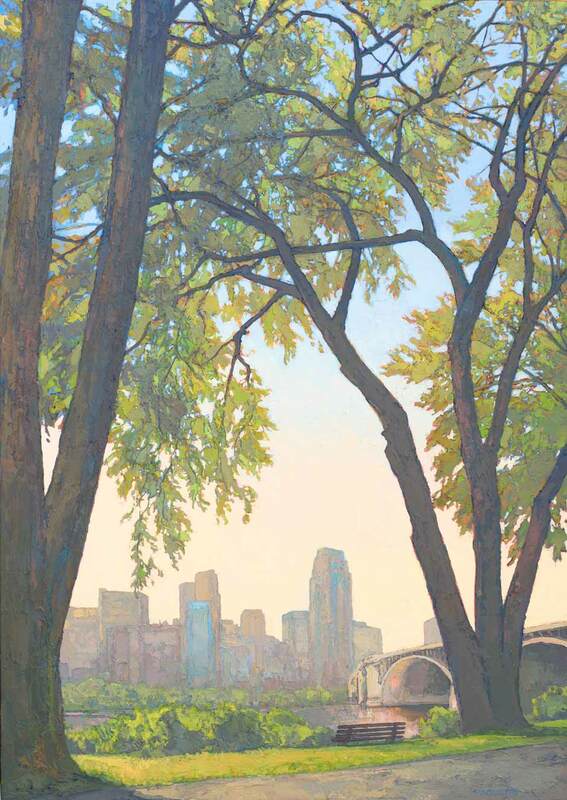 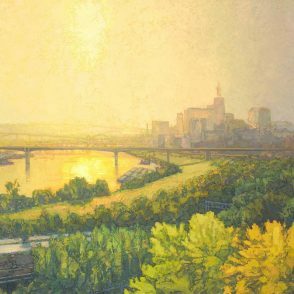 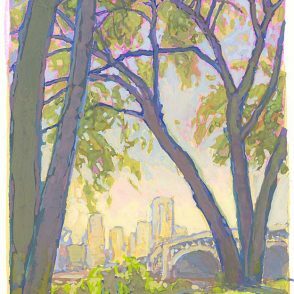 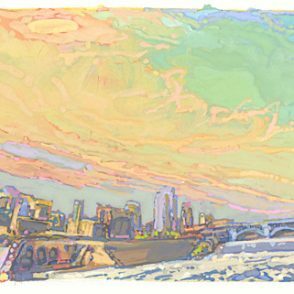 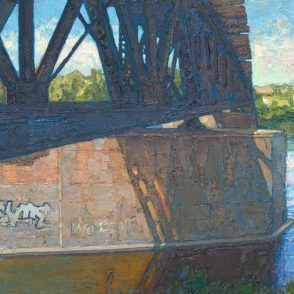 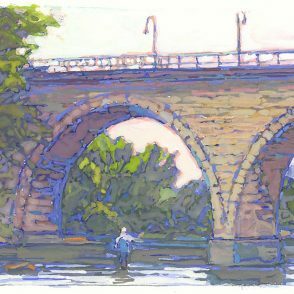 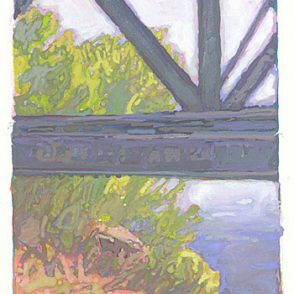 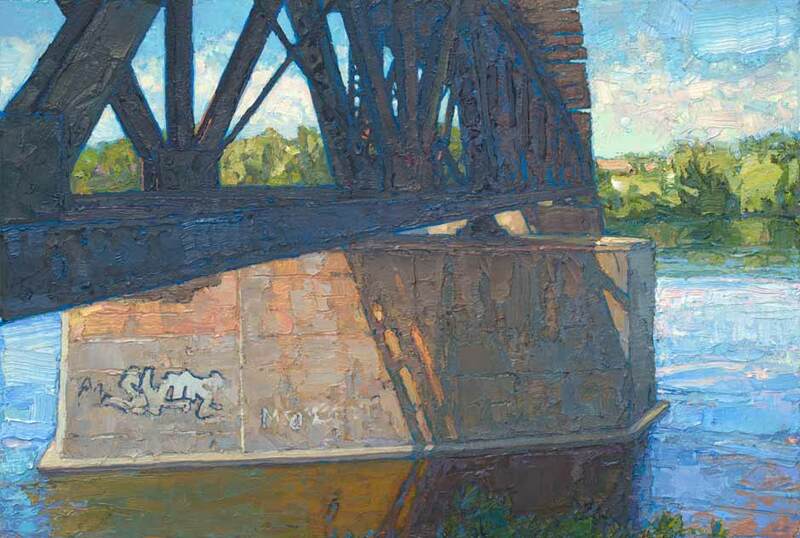 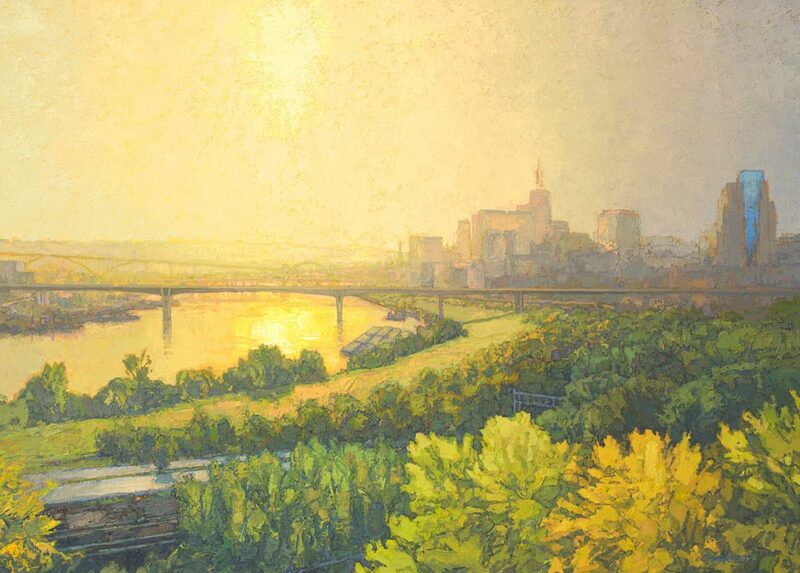 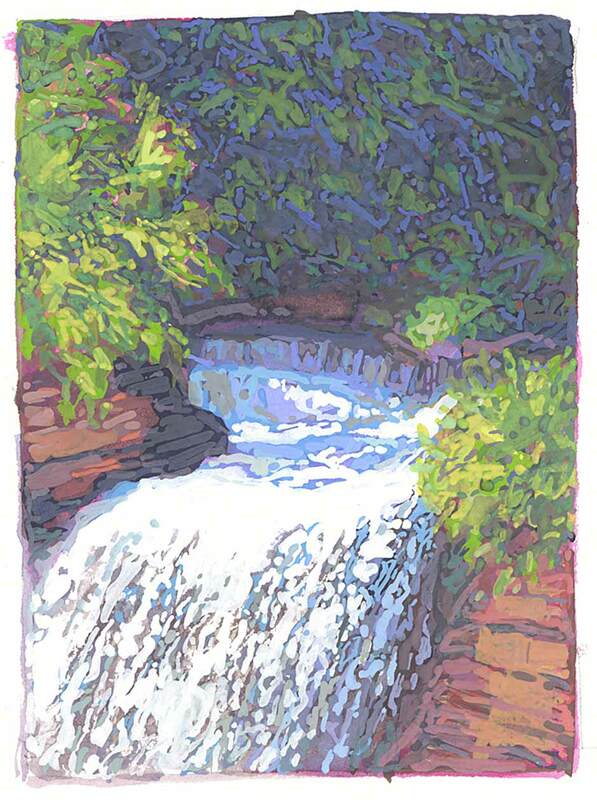 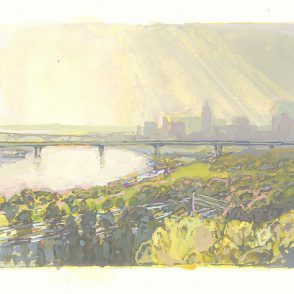 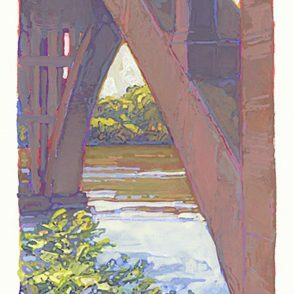 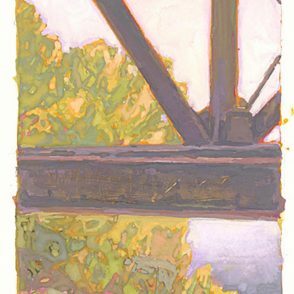 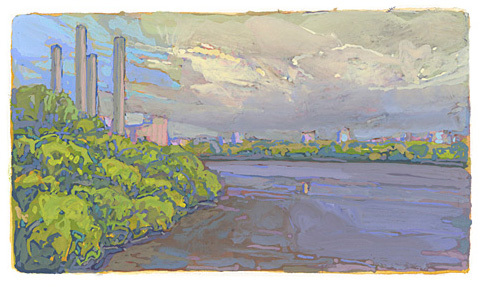 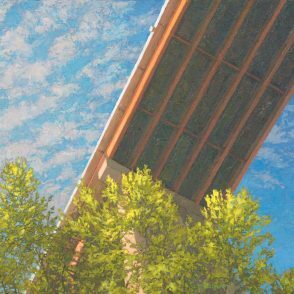 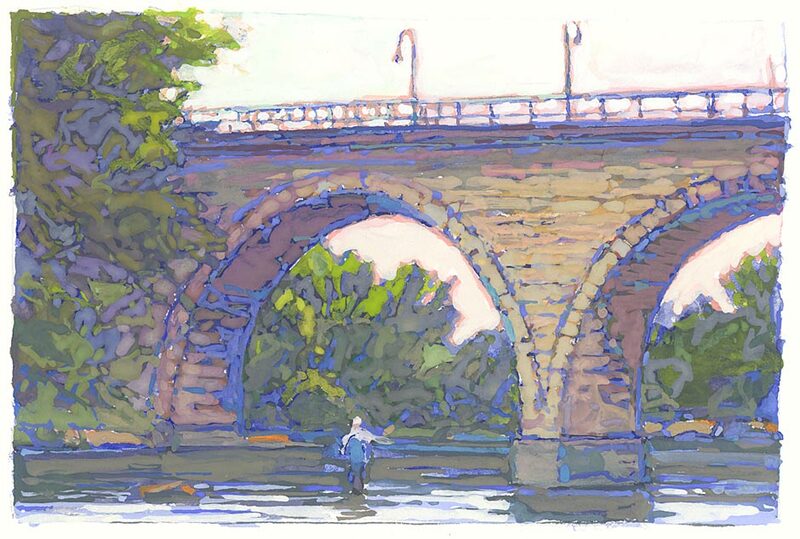 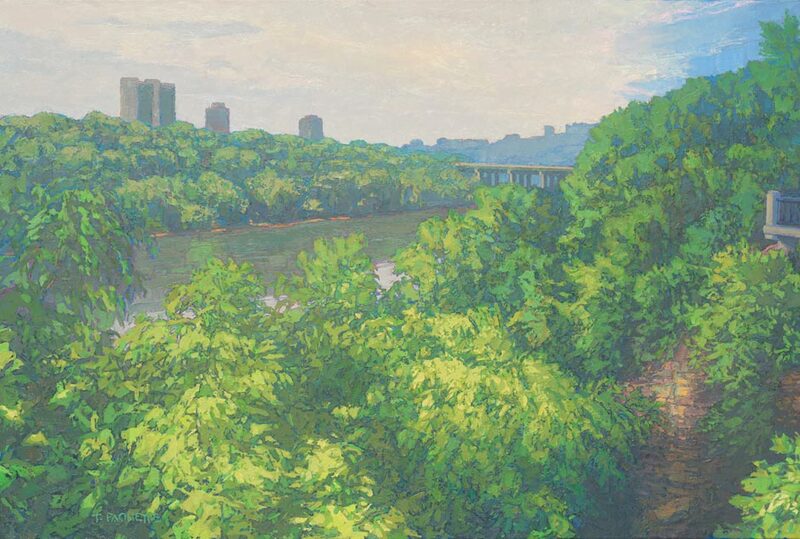 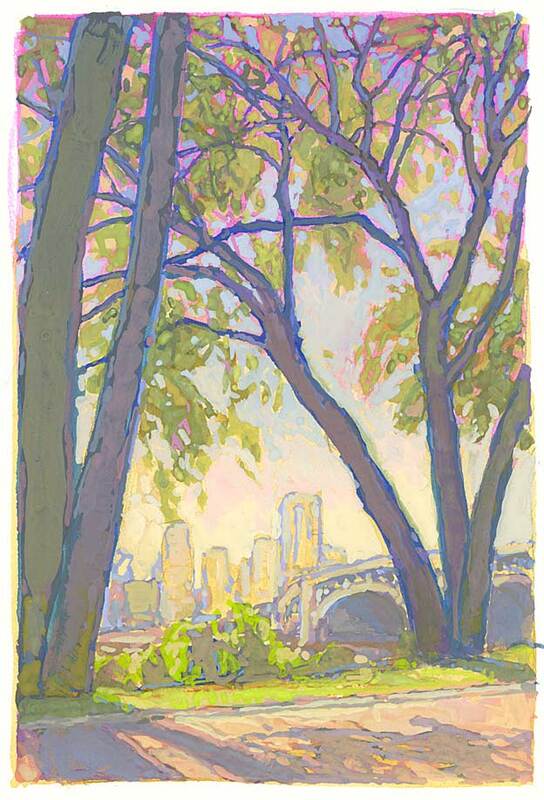 Inspired and fascinated by the park’s unique location within a bustling, urban area, Paquette’s paintings capture the beauty and serenity of nature found along the river and amidst the cities of St. Paul and Minneapolis. 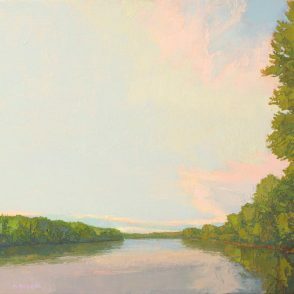 The artist will be present at the opening reception on Saturday, June 11 from 2 to 5 p.m. 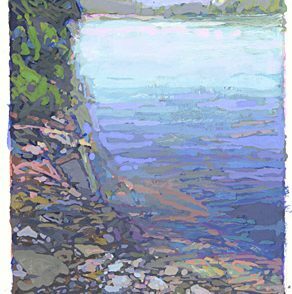 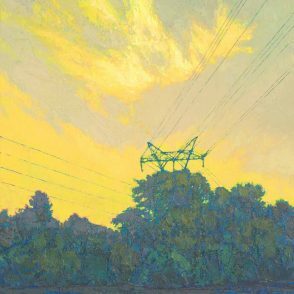 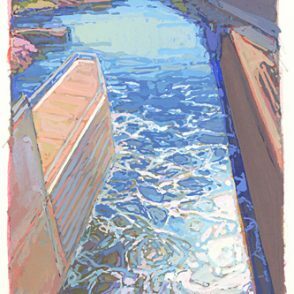 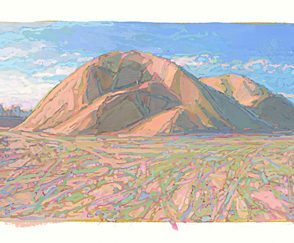 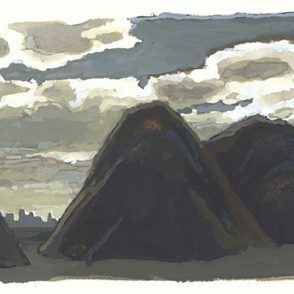 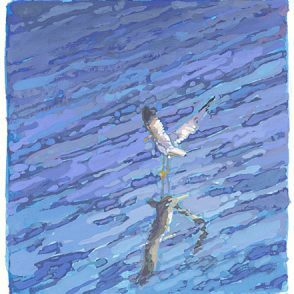 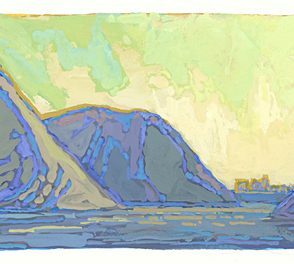 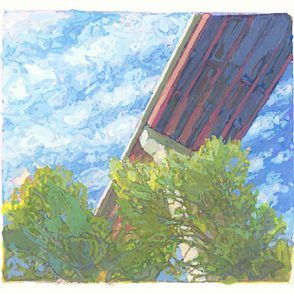 This exhibition runs concurrently with Sea to Sea, a group exhibition of paintings by gallery and guest artists in the Groveland Annex. 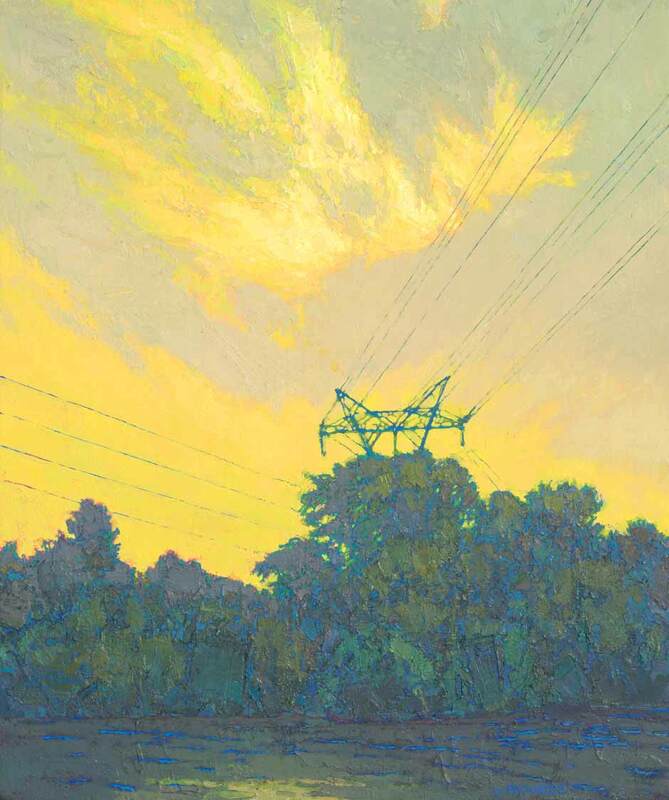 Both exhibitions continue through August 13.